Were you the class clown? Did you entertain for your family? I did entertain for my family, but I was always afraid of getting in trouble as a kid so I wasn’t like a prank guy. I didn’t do physical stunts, but I was trying to make everybody laugh. If not the class clown, certainly the class mime. Were people telling you you should be a comedian before you ever thought about it? That’s the thing that is so weird about it. First of all, I grew up in a time period where stand up wasn’t as all over the place, . There was a lot of it, I grew up really wanting to be a member of the Beatles or Bob Dylan, and also everyone in my family was really funny. My dad was really funny. I just took it for granted. What are you going to do if the whole comedy thing doesn’t work out? I could always wait tables again. I really liked waiting tables. I did a lot of bad day jobs. That’s my other piece of advice for people, if you’re going to get a job where you have to pay the bills, you should get a day job that you can start up with that also isn’t going to commit you to a business that you will eventually regret doing. Waiting tables was like stand up, you can relate to people. Same with bar tending. I was a bartender too. I could also do…why can’t people just pay me a lot of money to come give them a pep talk? Something like that. Life coach would be good. I’m sorry I’m not funnier. It’s okay, I’m having a great time! So how do you like voice over work? You do stuff for the show BOB’S BURGERS? I used to say “I’m a recurring character”, but why am I introducing myself by defining my contract? 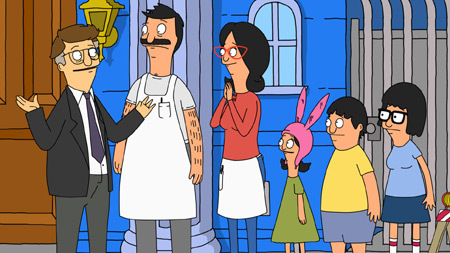 Now I simply say, “I voice the part of Mort on Bob’s Burgers.” I do love voice over work. I don’t get a lot of commercial work, I go out for a lot of auditions. 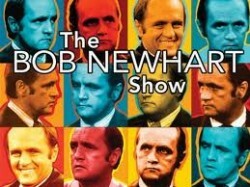 I think that hopefully on the basis of this interview i will start to get more voice over work. I need more work in general. I need about a million dollars a year just to tread water. Is this (interview) an inside thing? I’m nothing but inside, I’m so inside even the people inside don’t know about be. I’m a best kept secret in many ways. I have what they call two blind script deals. You’re paid to write the script, but you’re not attached as the talent, even though that was the idea. 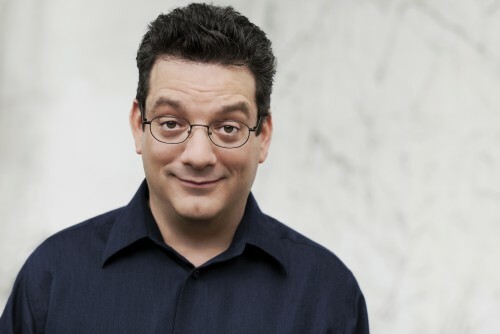 The idea for both of those scripts was like “look, we want a show with this guy Andy Kindler, but if you want to take it and sell it to somebody else that’s possible.” None of those decisions happened. I did get paid though. Yeah. I don’t think I’m a natural sit in the room and write kind of a person, I don’t know who is, but some people love writing. Well, it seems like it’d be fun to write in a room with a group of people who knew what they were doing if everyone got along…which, how often does that happen? I tend to have a little ADD, or a lot of ADD, but I love graphic novels a lot. I love stuff like Ernest Hemingway, but I do mostly non-fiction stuff. …my publicist. I actually have an idea for an Andy Kindler type show that I made a demo of. So, I don’t want to jinx anything, but we’re sending that around. So you might not be able to get me for one of these in-depth interviews. Well I’m glad we made this happen while we still can. You know, there are going to be several levels of people to get through from here on on out. So would you say you’re about to be ridiculously huge? I’d say what’s happening with me, my inclination to be grandiose, is increasing. I think it’s the jet lag. The jet lag when I go East, it makes me think my career is better. When I go West, it’s over. I go, “it’s my fault.” But, it’s not about having a career, or eating well, or taking care of nagging medical problems. It’s about interviews. I don’t have good closing lines. Come on, this is going great! That’s the hardest part about an article. That’s what I hate about the news, when they wrap it up, you know, it’s a story about fish “and now you can see how they can catch fish and teach a man etcetera”, you know they always have some closing line. Like we’re four years old or something and need them to sum it all up. Who do you really respect in the Industry? 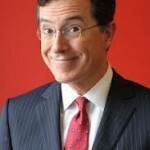 I love Colbert. I always mention Letterman because he’s the man. But Colbert, I think is like, not like he’s under the radar, everyone knows who he is, he is so amazingly brilliant night in and night out, on a level that it’s not like so subtle you can’t get it, but you really have to listen and be a part of it. I just think he’s the greatest. At what point does a stand up retire, and do you call that sitting down? I could not see myself retiring unless I got to the point where I just didn’t want to do it anymore. But I think that would come from loving to not do anything. But then I get bored. So, I just can’t see where I’d say I don’t want to perform any more. But maybe I’d do it less, and I’d do it wearing more expensive clothing.